Apple Inc. and Nokia Corp. are both holdings events Tuesday to unveil new products, while Microsoft Corp. starts sales for the Surface 2 and Surface Pro 2. “We still have a lot to cover,” reads Apple’s event invitation, and consumers are hoping for more than just a new iPad. The slimmed-down iPad 5 and refreshed iPad Mini are expected to be revealed at Apple’s event in San Francisco, along with the redesigned Mac Pro. It is supposed to be released in the fall of 2013, as is the price for OS X Mavericks. Nokia’s event in Abu Dhabi is expected to be its last before being taken over by Microsoft. There are rumors it will release six devices. Among them is the Windows-powered tablet that has been expected for over a year, Lumina 2520. Then there is the Lumia 1520 phone-tablet and possibly a music device. Nokia is also expected to reveal a couple of other handsets, including a low-cost Lumia 1320 for certain markets. It’s no surprise Tuesday’s events will have a focus on tablets. Tablets have been eating into PC shipment numbers, and research firm Gartner estimates worldwide tablet shipments to grow 53.4 percent this year. Meanwhile, traditional PC shipments are expected to drop by 11.2 percent this year, down from Gartner’s April forecast of a 7.3 percent decline. By 2017, Gartner estimates more tablets to be shipped than desktop computers and portable devices with desktop operating systems combined. 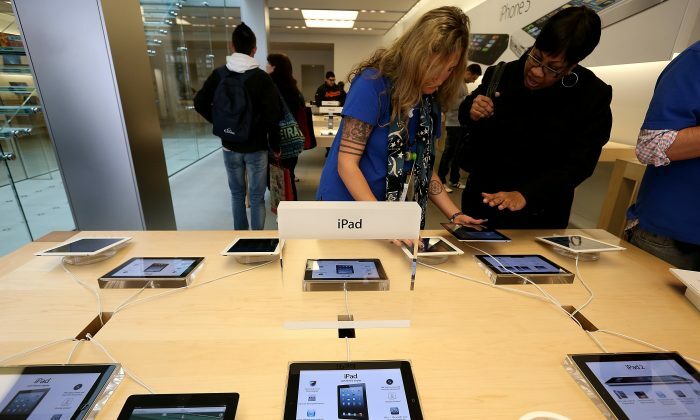 Apple has held the worldwide lead with in tablet sales with iPads in the second quarter, according to research firm IDC with a market share of 32 percent. Samsung, at 18 percent, is the second biggest tablet manufacturer.